Thunderbirds on Region 2 DVD! 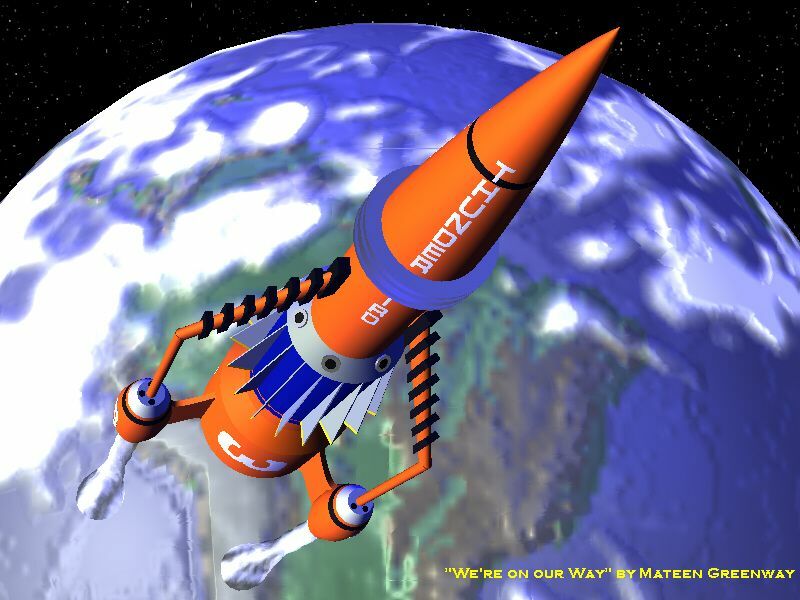 Thunderbird 1, the spearhead craft of International Rescue, is piloted by Scott Tracy. 115 feet long and bearing a wing span of 80 feet, Thunderbird 1 is sleek and fast with a top speed in excess of 15,000 miles per hour. Though armed and carrying its own rescue equipment aboard, the principal role of Thunderbird 1 is to get to the danger zone as soon as possible, enabling Scott to assess the situation, advise on specialist equipment required and then direct the rescue operation. Scott can then oversee the rescue either from on board Thunderbird 1 or from the Mobile Control Console which forms an essential part of his equipment. 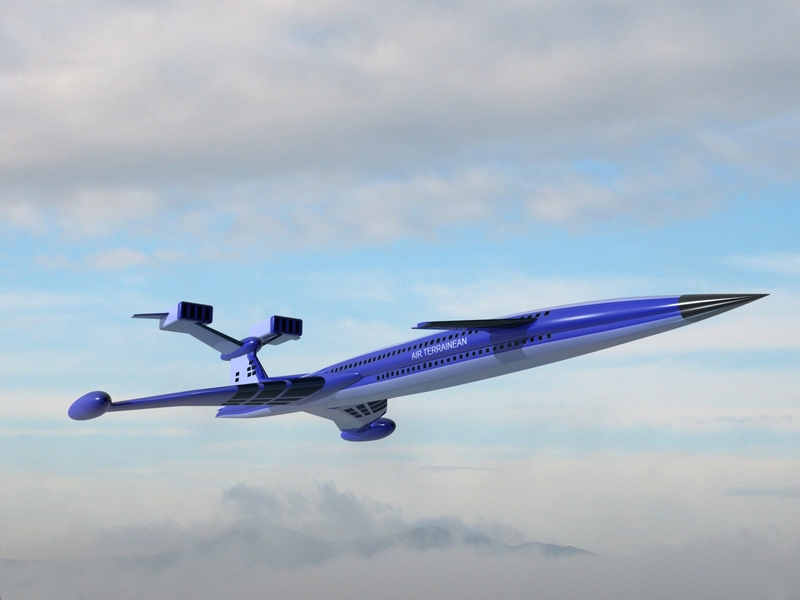 Motive power: Ram jets, turbo jet turbines, high-performance sustainer rockets, booster rockets. 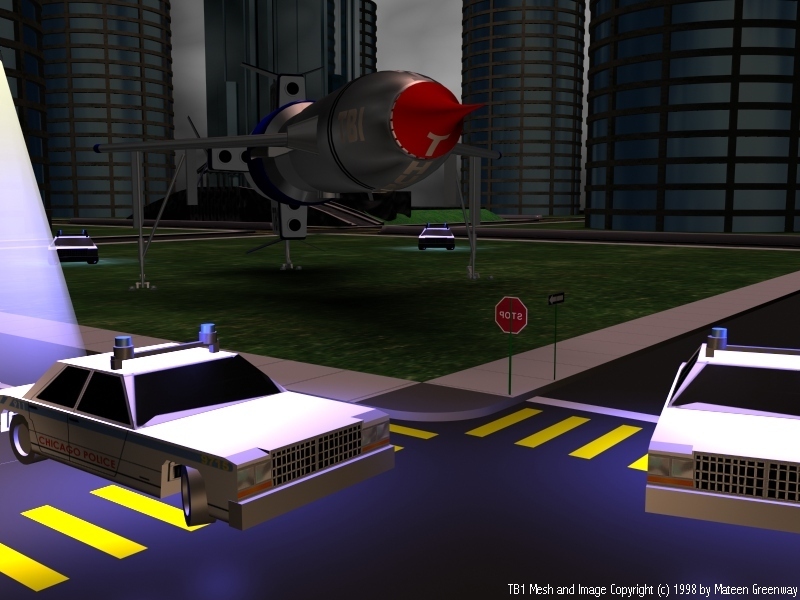 Fuel: Atomic power provides main drive power, rocket propellant, turbo jet fuel. Thunderbird 2, piloted by Virgil Tracy, is the freighter that carries all of International Rescue's ingenious heavy engineering equipment. With a maximum flying speed of 5,000 miles per hour, Thunderbird 2 is 250 feet long, has a wing span of 180 feet and stands 60 feet high. 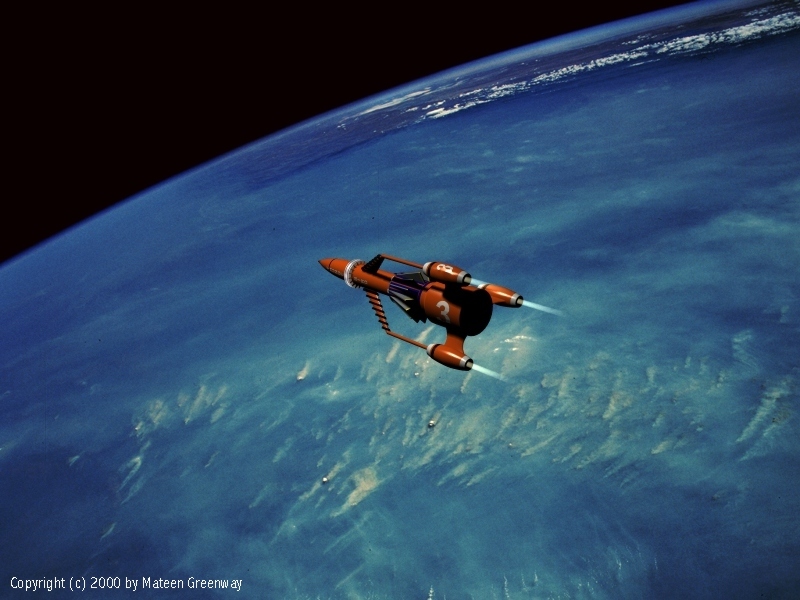 The centre section of the vehicle carries one of a selection of six pods, each housing the many different specialised rescue machines used by the International Rescue team: primarily Thunderbird 4, the Mole and the Firefly. 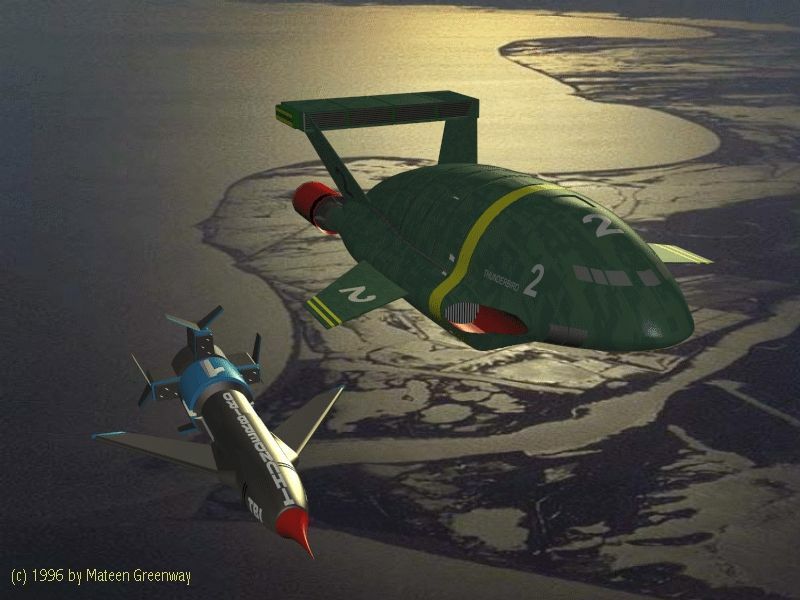 Though much slower and heavier than Thunderbird 1, Thunderbird 2 is often at the heart of the main action in the danger zone. Motive power: Booster and take-off rockets, turbo jets, ramjet turbines. Fuel: Atomic pile, rocket fuel. 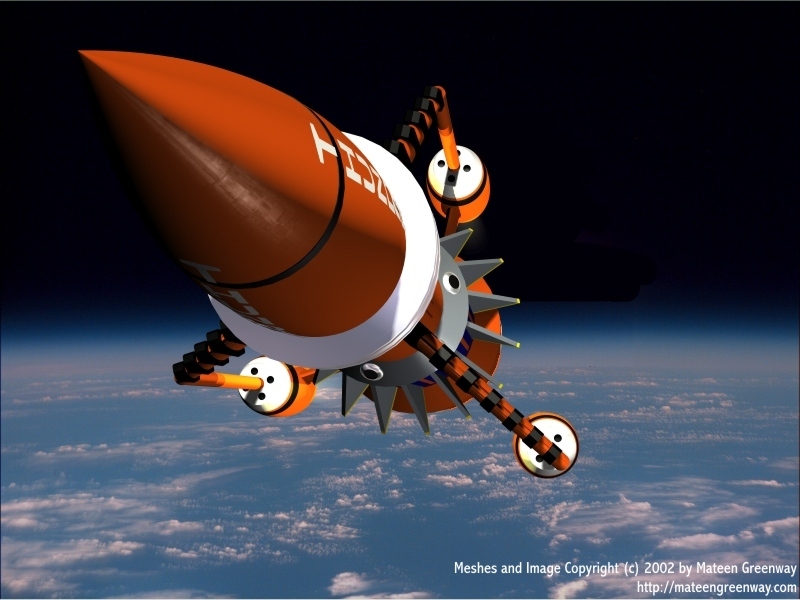 Thunderbird 3 is International Rescue'sspace rocket piloted by astronaut Alan Tracy. TB3 is the tallest vehicle in the International Rescue fleet, measuring 287 feet in height. 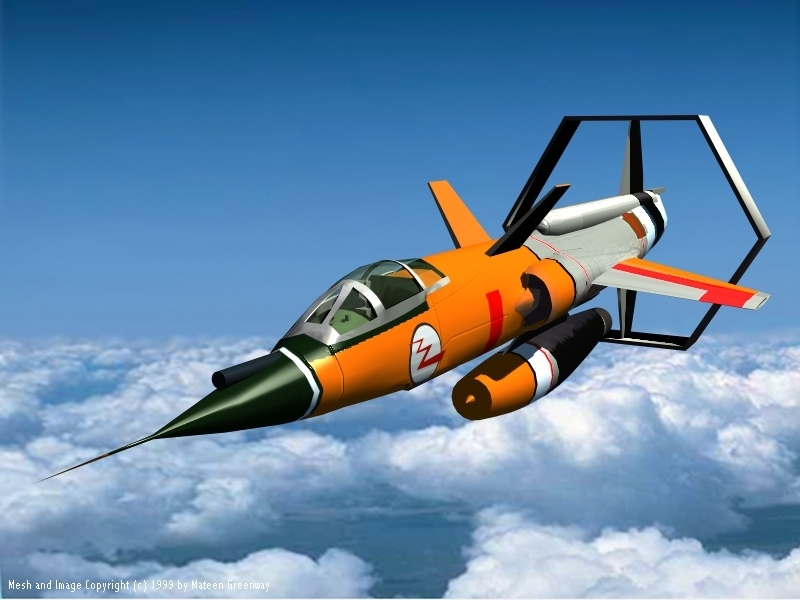 Launched from its concealed hanger beneath the Tracy Island Round House, the rocket is used for all space rescues and also acts as a link to Thunderbird 5. The basic crew requirement is two usually meaning Scott will accompany Alan as co-pilot. Motive Power: Atomic electricity generators provide power for particle accelerators, chemical rockets fed by helium-pressurised rocket propellant. 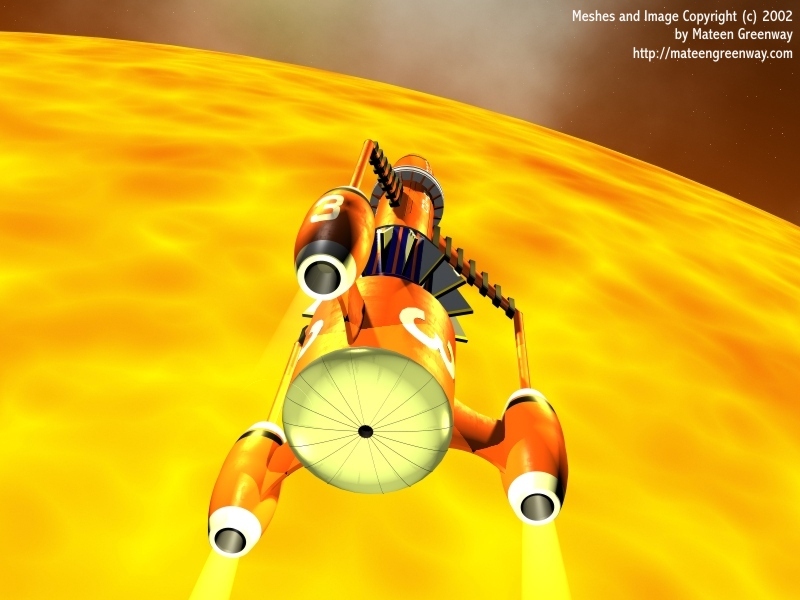 Fuel: Atomic pile provides main drive power, rocket fuel. 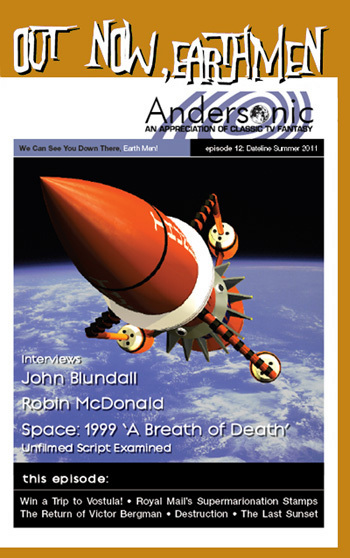 I recently created a alightly updated render of the following image of Thunderbird 3 in obit for the cover of issue 12 of the excellent Andersonic fanzine available here. 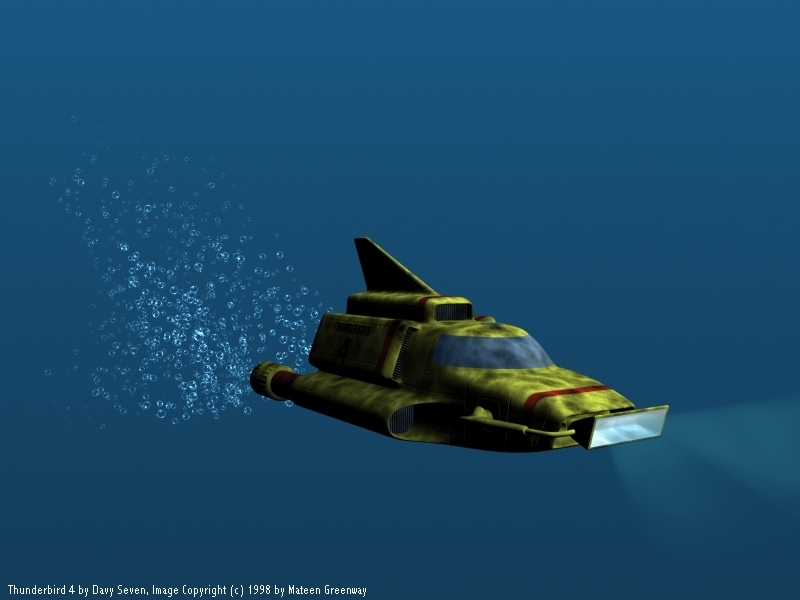 Thunderbird 4, piloted by aquanaut Gordon Tracy, is a 30 feet long underwater and sea surface craft. Although much smaller than the other Thunderbirds vehicles and with a limited range, TB4 nonetheless plays a vital role in any underwater rescue operations. 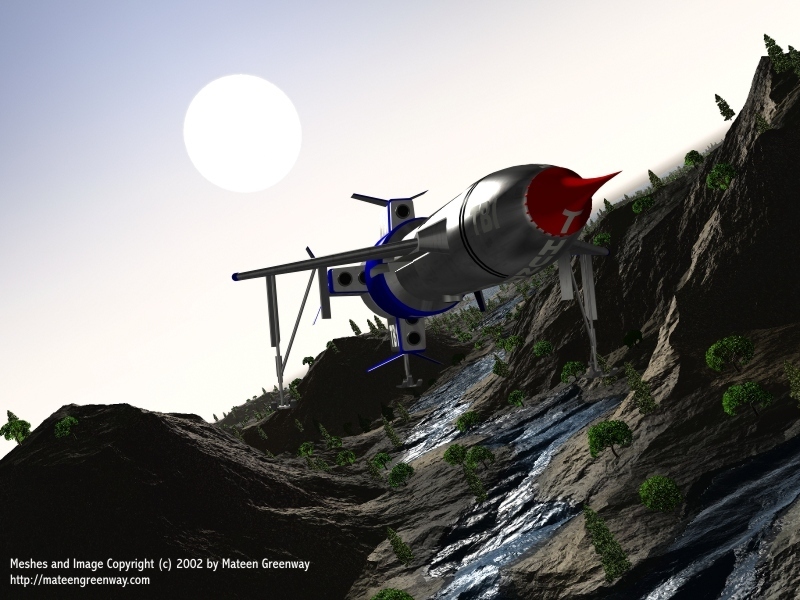 Thunderbird 4 is usually carried to and from the danger zone aboard Pod 4, one of the six pods carried by Thunderbird 2. If required, however, the submarine does have hover jets fitted for travelling short distances across land to reach the water under its own power. 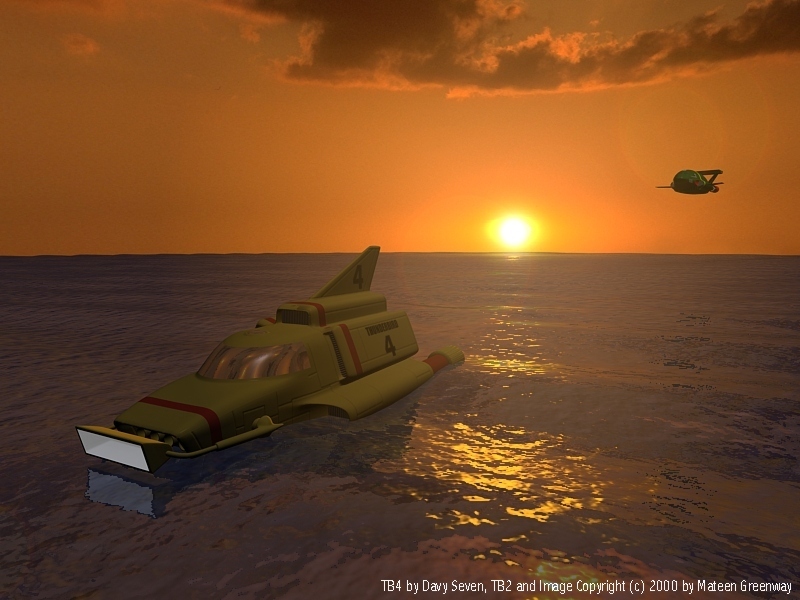 Highly manoeuvrable, TB4 is one of the fastest known craft on or under the sea. Motive Power: Six drive turbines, surface drive jets. Fuel: Atomic generators provide motive power for main drive. Smaller nuclear pile at the rear operates auxiliaries and superheats air for surface propulsion jet engines. 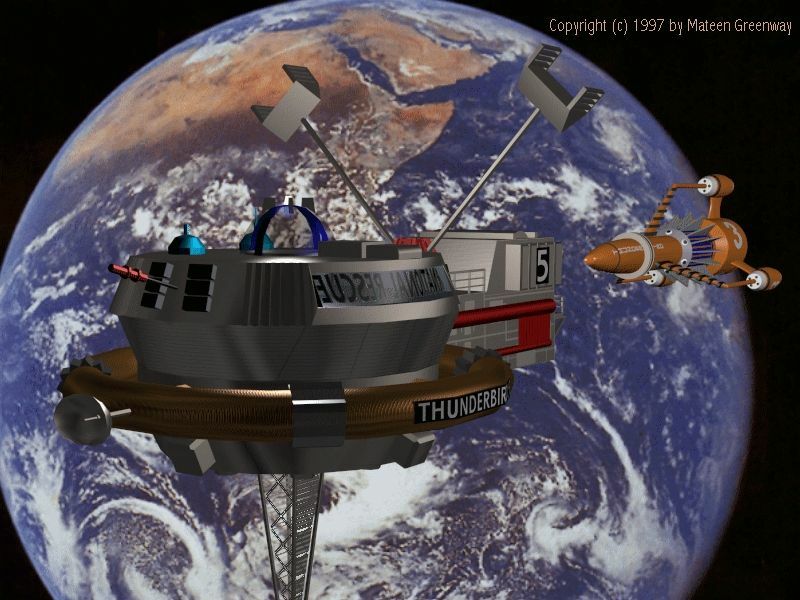 Thunderbird 5 is International Rescue's space station and the heart of the organisation's communications network. Maintained in a secret geostationary orbit high above the Earth, John Tracy and his younger brother Alan take turns to man this satellite staying aboard for a month at a time. Between them, they maintain a constant vigil across the globe. Through the use of sophisticated monitoring equipment they are able to hear every radio transmission being broadcast with special filters attuned to messages of distress in any language. Power: Atomic batteries power entire life support system and all on-board equipment. 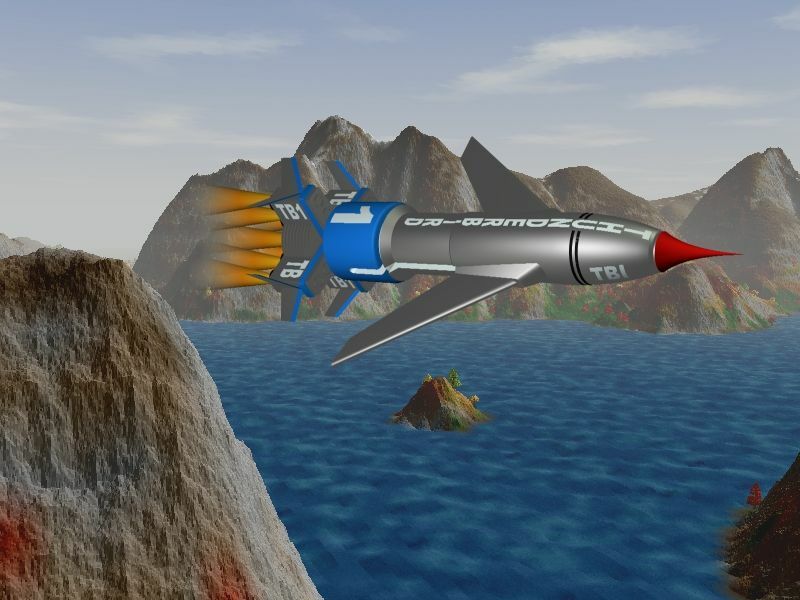 The Fireflash, a hypersonic airliner, appeared in the episodes "Trapped in the Sky", "Operation Crash-Dive", "The Impostors", "The Man From MI.5", "The Duchess Assignment" and "Security Hazard". It has six atomic motors that enable it to stay in the air for a maximum of six months; however they must be examined frequently, or the passengers will only be able to spend a maximum of three hours in the aircraft before succumbing to radiation sickness. 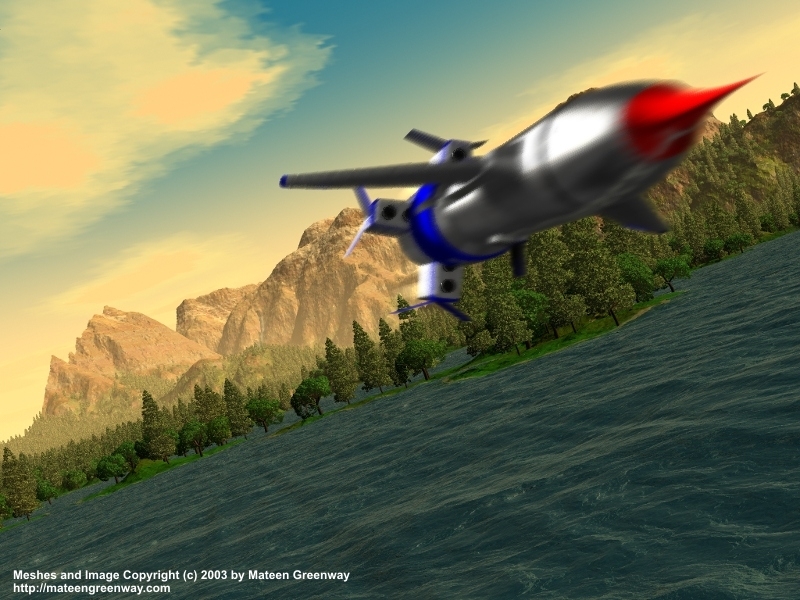 Fireflash's maximum speed is Mach 6 (approximately 4,500 mph or 7,200 km/h), and can fly at heights above 250,000 feet (76 km). A novel feature is that the flight deck is built into the tail fin. The Fireflash has two decks, but also features luxury facilities such as a cocktail lounge housed within glazed sections of the wings leading edges. Fireflash was commissioned by Air Terrainean (a.k.a. : Terrainean Airways).